Adrian Wallwork has written over 40 books aimed at non-native speakers of English. Adrian has collaborated with several international IT companies in order to help them improve communication in English with their offices worldwide. 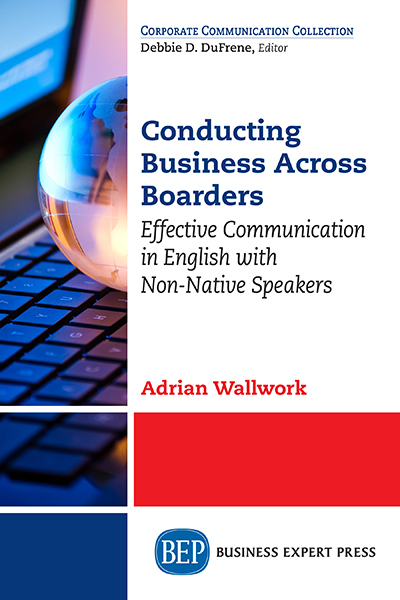 Conducting Business Across Borders is probably the first ever book that highlights why the minority (400 million native English speakers) should improve their communication skills with the majority (1.5 billion non-natives) rather than expecting the non-natives to make the effort. Adrian lives in Pisa, Italy.